WindowFilmAndDecals.com is a customer service focused company. We are committed to prompt service, meeting our customer’s wants and needs, and providing high quality merchandise that you can trust. WindowFilmAndDecals.com carries high quality and affordable Decorative Window Film, Wall Decals, and Children's Wall Stickers and Wall Murals. You will find a wide variety of window and door treatments that add beauty and privacy as well as unique deco wall decor that is affordable and easy to use. WindowFilmAndDecals.com focuses on providing items that you may not find at your local store. 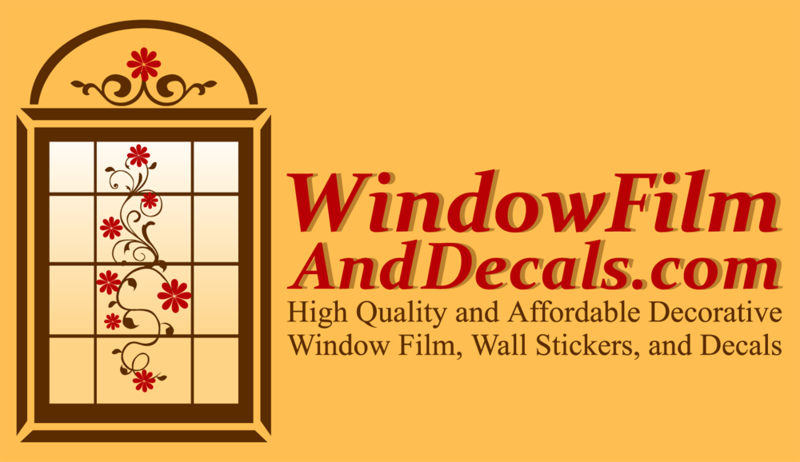 At WindowFilmandDecals.com we are dedicated to our customers and are prepared to provide you with responsive service to any inquiry or order that you send us. We have developed a top of the line selection of products and hope to continue to bring you more quality products in the future. We are constantly updating our website with new products to bring you the most up-to-date decor. You will find that you’ll enjoy browsing our site as we strive to make your shopping experience a relaxing one that will transfer onto your home with our beautiful Decorative Window Films, Wall Decals, and Children's Wall Stickers and Wall Murals. Customer satisfaction is of the utmost importance to us here at WindowFilmAndDecals and that is why we offer a 30 day money back satisfaction guaranteed policy. Please contact us with any requests or other concerns and we promise to respond promptly. We encourage you to send in customer feedback about your experience with our products and any requests that you have for new Decorative Window Film, Wall Decals, and Children's Wall Stickers so that we can continue to carry the products that you are seeking. Thank you for shopping with us at WindowFilmAndDecals.com.